I was appointed as the Director-General for Technology Policy Coordination, Minister's Secretariat, Ministry of Internal Affairs and Communications (MIC) in August last year and I am now controlling Space related R&D at MIC. I had been engaged in space communication field for total of 7 years that include the 5 years work at Space Communications Policy Division, and the work at the Defense Agency. As one of the people involved in space R&D, I think that the activities of the Japan Forum on Satellite Communication in the satellite communication field are very joyous. "Moba HO" How to get it and How to use it. Air mattress type bio-signal monitoring system was developed by Hosei University Watanabe Lab. And JEPICO corp. with business-academia collaboration. Just lying down on the air filled mattress enables detecting the several bio-signals such as heart beat, respiration, body movement and snoring. February 6-9th, 2006, Satellite 2006 Conference & Exhibit and SSPI Gala Satellite were held in Washington Convention Center, this is the report of the event overview. 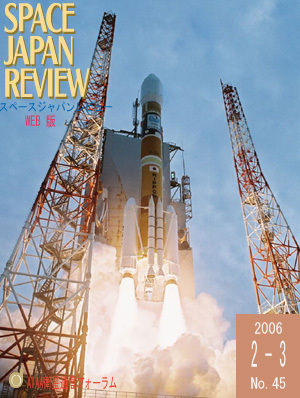 This is the 25th annual Satellite 2006 Conference and Exhibition by Via Satellite Magazine. Satellite 2006 Chairman has reported that 6,700 attendees have passed the Washington Convention Center in this week with 245 Satellite related Exhibitor and sitting in on Conference Session 204 speakers and moderators. In addition to that, it is stated that there are 243 satellites including 46 communication satellites in orbit now and 15 Communication Satellites were launched in last year. The commercial communications satellite industry, despite increasing, relentless competition from terrestrial fiber-optic and wireless network systems, has recently emerged from a four year recession. The industry is in the process of reinventing itself - a process which will determine whether commercial communications satellites continue as a principal medium for ubiquitous communications services or are ultimately relegated to niche applications such as transoceanic mobile and remote communications. A brief review of the industry's short but nonetheless illustrious history of innovation and growth is presented to provide a framework within which current industry challenges and future potential directions are examined. Satellite broadcasting in Japan has now grown to the point where it is considered a quasi-backbone media, providing contents to viewers in about 18 million households. In the backdrop of this proliferation, we find a history of struggles and challenges faced by the many satellite engineers who worked through the stages of broadcast satellite research and development and practical applications, and who eventually secured the broadcast waves that we use today. AIAA-IAC�iInternational Activities Committee�jMeeting and the Board of Directors Meeting were held in Reno Hilton Hotel, Reno, Nevada on January 12 and 13, 2006, respectively. I had an opportunity to attend these meetings. This is a brief report of these meetings." The Optical Inter-orbit Communications Engineering Test Satellite (OICETS) was developed by Japan Aerospace Exploration Agency (JAXA) to demonstrate the inter-satellite laser communications with the Advanced Relay and Technology Mission (ARTEMIS) geostationary satellite developed by European Space Agency (ESA). On 23rd August 2005, OICETS was successfully launched at the Baikonur Cosmodrome in the Republic of Kazakhstan and thrown into a circular orbit at the altitude of 610 km. ", OICEST's intersatellite optical communication experiments are reported.